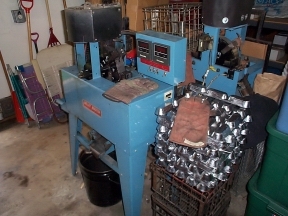 WELCOME TO GARDNERS CACHE' YOUR ONE STOP SHOP FOR ALL YOUR RELOADING NEEDS "SINCE 1994". ALL BRASS IS ONLY .09 CENTS EACH OR .12 CENTS EACH IF PROCESSED. 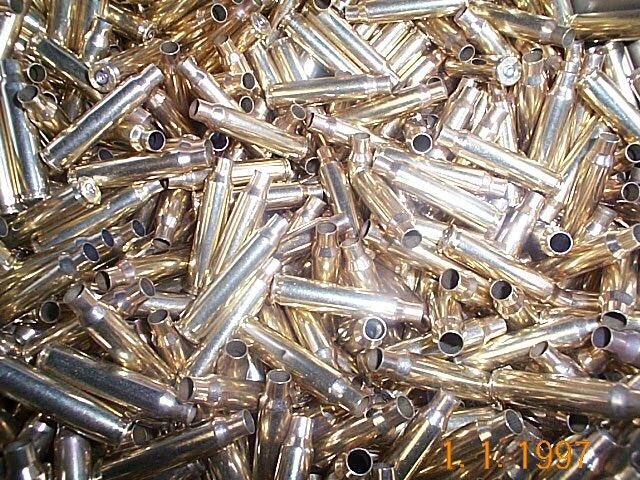 LOT #3) 10 BAGS OF 100 PIECES,ONCE FIRED ALL REMINGTON COMMERCIAL BRASS, WET POLISHED,NO PRIMER CRIMP SIZED&TRIMMED,DEBURRED&CHAMFERED,READY-TO-LOAD,ANY 100 PIECE AMOUNT SHIPPED,.12 CENTS EACH. LOT #4) 4-100 PIECE BAGS AND 1-50 PIECE BAG OF PROCESSED MIX'D COMMERCIAL BRASS,WET POLISHED WITH S/S PINS,SIZED,TRIMMED TO 1.750"(+ - .003"),P/POCKETS SWAGED,CHAMFERD & DEBURRED,READY-TO- LOAD,.12 CENTS EACH. LOT #5) 4-100 PIECE BAGS AND 1-50 PIECE BAG OF PROCESSED WCC (WINCHESTER CARTRIDGE COMPANY) MILITARY BRASS,WET POLISHED WITH S/S PINS,SIZED,TRIMMED TO 1.750"(+ - .003"),P/POCKETS SWAGED,CHAMFERD & DEBURRED,READY-TO- LOAD,.12 CENTS EACH. LOT #6) 2-500 PIECE BAGS OF ALL LAKE CITY ONCE FIRED BRASS,POLISHED AND PRIMER POCKETS SWAGED,ANY 500 PIECE AMOUNT SHIPPED,.09 CENTS EACH.